Find the best flag football adult leagues, pickup games and tournaments in the state of Minnesota. 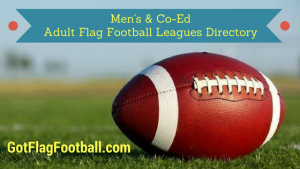 Below you’ll find the top up-to-date for 2019 list of fall, winter, spring and summer, indoor and outdoor local flag football leagues, pickup games and organizations that offer tournaments, organized from the highest to least populated cities and towns in MN. 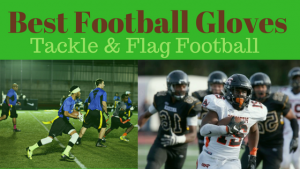 GotFlagFootball.com brings together the recreational and competitive local flag football Minnesota community of organized leagues, city recreational leagues and pickups in one list (in alphabetical order), so that it’s easy to find a game near you. Minnesota Flag Football League runs 3 different seasons – in the Fall, in November-December, and one at the end of the Winter. Game times vary depending on the season but are generally on weeknights, and seasons are 7 games long with a playoff series at the end. The leagues are 6v6, and games are played at a high quality indoor facility. Flag football is offered only in the Fall here. It runs from August to October, and there is a men’s league, women’s league, and a co-ed league, all for over 18’s. The season goes for 8 weeks with one game per week, and are 7on7. TC Flag Football runs indoor flag football leagues year round. The Summer league is 4 on 4, and features 8 games playing 10 games each. Both leagues play games on Saturday afternoons, between 4pm and 8pm. Games are played in the West Saint Paul Dome. 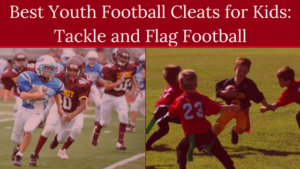 Flag football seasons are offered by the City of Rochester Parks and Recreation. Games here are played on Wednesday nights. The City of Bloomington runs a flag football league in the Fall. Games are played on Wednesday nights, between 6:15pm and 9:30pm. The season runs over a 7 week period, and the format of games is 7v7. Matches are played outside, and are 50 minutes long. Flag Football is offered by the Eagan Municipal Center in the Fall, and is played outdoors and under lights at Clearwater Park. Games are played on Wednesdays.